I’ve been baking holiday treats for my neighbors for years now. Since we moved into our house last year I’ve been making brownies and chocolate chip cookie bars for everyone. They’re easy and almost everyone likes one or the other. When we lived in our apartment in Hoboken I would make shaped sugar cookies, but frankly I just haven’t had that kind of time the past couple of years. 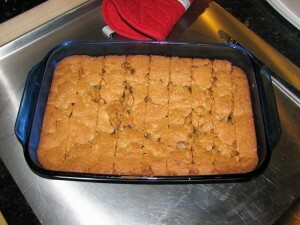 The chocolate chip cookie bars follow the classic Nestle Tollhouse chocolate chip cookie recipe, I just spread them in a pan and bake them longer. **I typically make mine in a 13 x 9″ casserole dish and just bake them longer. This batch took me about 45 minutes to bake that way, and I check on them every 10 minutes after the 25 minute mark. I slice them almost immediately and transfer to an airtight container with the layers separated with wax paper. This usually helps me keep them soft longer, and the smaller pan makes a thicker cookie bar-more like a brownie. 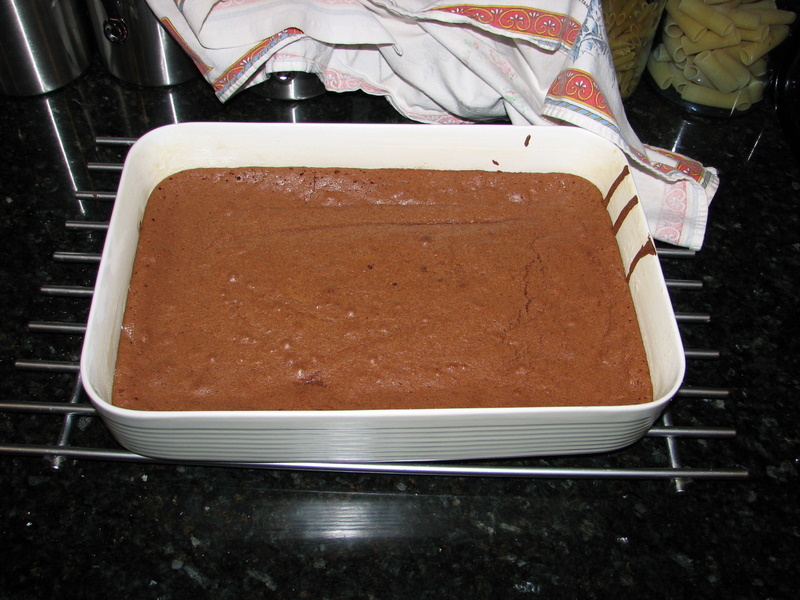 I use a brownie recipe given to me by a former coworker named Grant. I’ve been making these brownies for a couple of years now, and the first time I made them Adam’s eyes lit up and he said, “I didn’t think it was possible to love you anymore, but I was wrong.” After I told that to Grant he began taking credit for my successful engagement and wedding, so I call these Grant’s Relationship Building Brownies. I don’t actually know if Grant got these from a book or if this is his own recipe, but these brownies are the sole reason I have a kitchen scale for metric measuring. Preheat the oven to 325 degrees F. Mix the flour, salt, and baking powder in a mixing bowl and set aside. 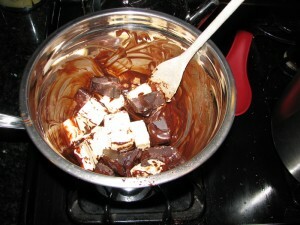 Cut the butter into smallish chunks and chop the chocolate into manageable chunks if using from a bar. Over a double boiler with slowly simmering water (I just fill a small saucepan with water, heat it, and place one of my indispensible large metal mixing bowls on top of it), melt the chocolate and butter. Stir once in a while with a spatula. Once the chocolate and butter are melted, pour the chocolate into your stand mixer (if you have one). Whisk the sugar into the bowl you melted the chocolate in. This is my key variation on this recipe; if you whisk the sugar into the nearly empty chocolate bowl, it will soak up all the chocolate left sticking to the sides. Then you can dump the chocolate coated sugar into the bowl with the melted chocolate and not waste any of your expensive chocolate. 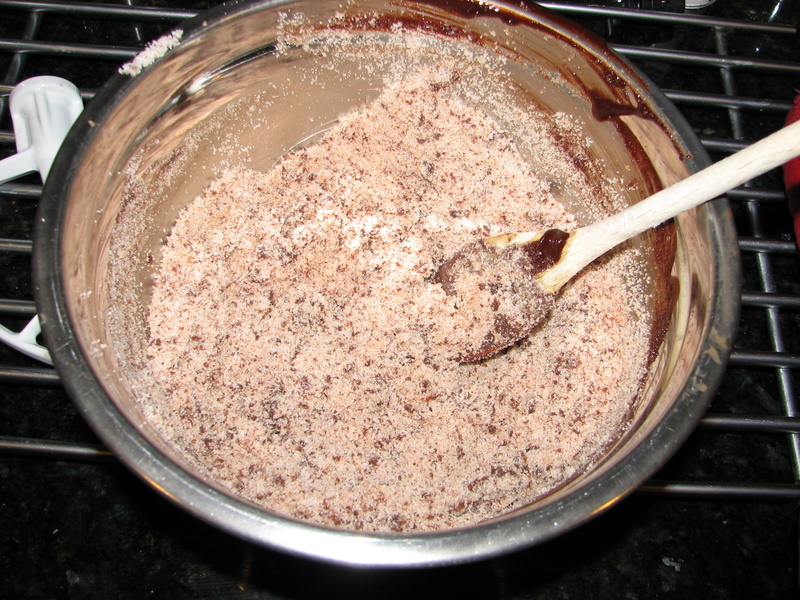 **If you don’t have a stand mixer, just pour the sugar straight into the bowl with all the melted chocolate. 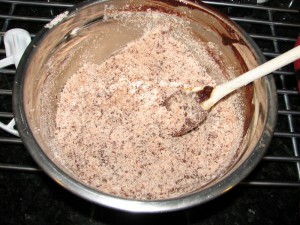 Mix using a spoon or hand mixer. Whisk the eggs into the chocolate mixture one at a time. Add the vanilla extract. Add the flour mix in three parts, making sure the flour is fully combined before adding more. Pour into a lined 13″ x 9″ pan (lined with wax paper or coated with butter and flour). Work the batter into the corners with a spatula and bake until a toothpick comes out almost clean when pricked into the center, or after about 40 minutes. Cool in the pan on a cooling rack for at least two hours (these are best the next day). Cut and eat!